Ordikhani, H., Ranjbar, I., Ghahderijani, M., Gholami Parashkoohi, M. (2015). Economic Analysis of Horticultural Crop Production at Various Levels of Mechanization (Case Study: Ghazvin Province. International Journal of Advanced Biological and Biomedical Research, 3(1), 115-118. Houshang Ordikhani; Iraj Ranjbar; Mohammad Ghahderijani; Mohammad Gholami Parashkoohi. "Economic Analysis of Horticultural Crop Production at Various Levels of Mechanization (Case Study: Ghazvin Province". 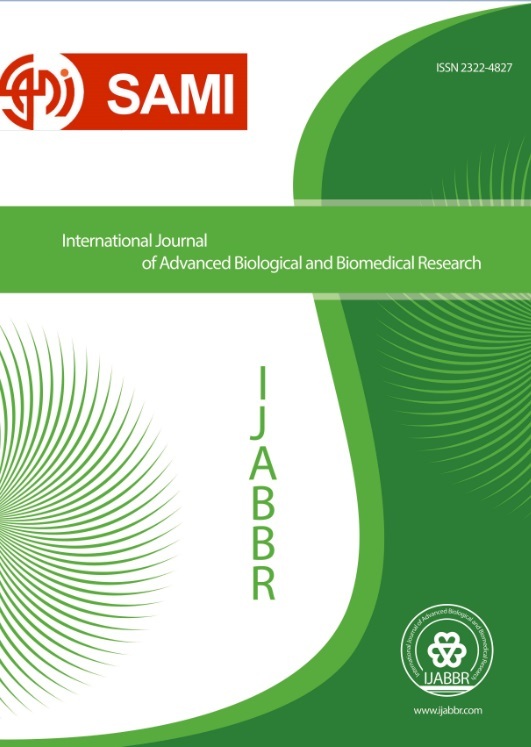 International Journal of Advanced Biological and Biomedical Research, 3, 1, 2015, 115-118. Ordikhani, H., Ranjbar, I., Ghahderijani, M., Gholami Parashkoohi, M. (2015). 'Economic Analysis of Horticultural Crop Production at Various Levels of Mechanization (Case Study: Ghazvin Province', International Journal of Advanced Biological and Biomedical Research, 3(1), pp. 115-118. Ordikhani, H., Ranjbar, I., Ghahderijani, M., Gholami Parashkoohi, M. Economic Analysis of Horticultural Crop Production at Various Levels of Mechanization (Case Study: Ghazvin Province. International Journal of Advanced Biological and Biomedical Research, 2015; 3(1): 115-118. Objective: Economic analysis was performed for the main horticultural crops in Buin Zahra (pistachio, peach, nectarine, and apple). There were dependent and independent variables in this research. Methods: The independent variables were planting method (mechanized and conventional), land area used for fruit production, and land ownership. The maximum energy used, mostly in the form of fossil fuels, was in peach production. The two-stage simple random sampling method was employed. Random sampling is, in fact, the easiest sampling method, and the obtained results are reliable and generalizable to the whole society if the sampling principles are followed. Results: Results showed the best economic performance indicator (2.55 with the profit to cost indicator of 2.93) belonged to pistachio orchards, while apple, peach, and nectarine (with economic performance indicators of 1.83, 1.67, and 1.27, respectively) ranked second to fourth. The maximum ratio of profit to cost (2.93) was that of pistachio, which also had the largest energy ratio (with apple and peach ranking second and third with 2.15 and 2.08, respectively).